Because of this we talk about feet a lot in our house. 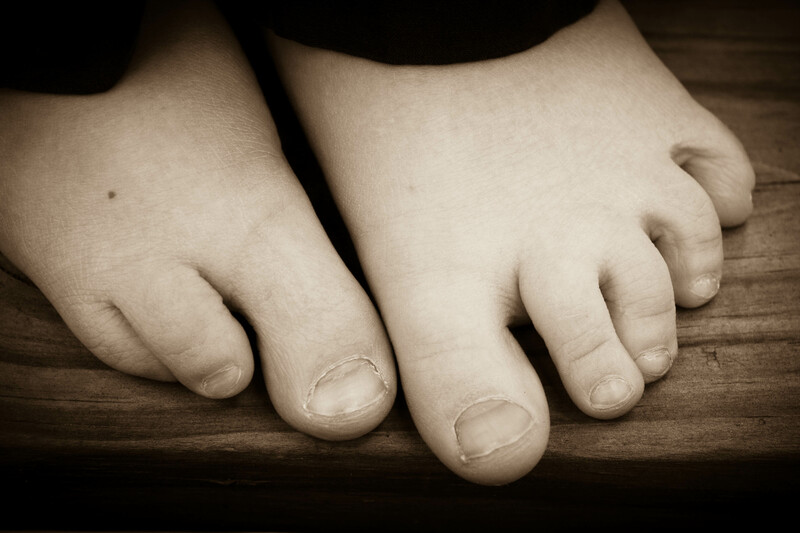 There are times when Lydia has actually come to tears because she has 10 toes! I’ve never seen Carter cry about only having 8. At this point, he doesn’t even seem to notice or care that his foot is different from everyone else’s. You know he's having fun when the shoes come off! As we approach Easter, I’m also thankful that the “You Capture” theme is feet because it made me think about Jesus’ feet. Walking the dusty streets, cross on his shoulder, with blood dripping down and oozing between his toes. Feet aching as he carried the literal weight of the cross and the figurative weight of the world. Suffering unlike anything we can imagine. Also? Gratuitous photo of baby feet. 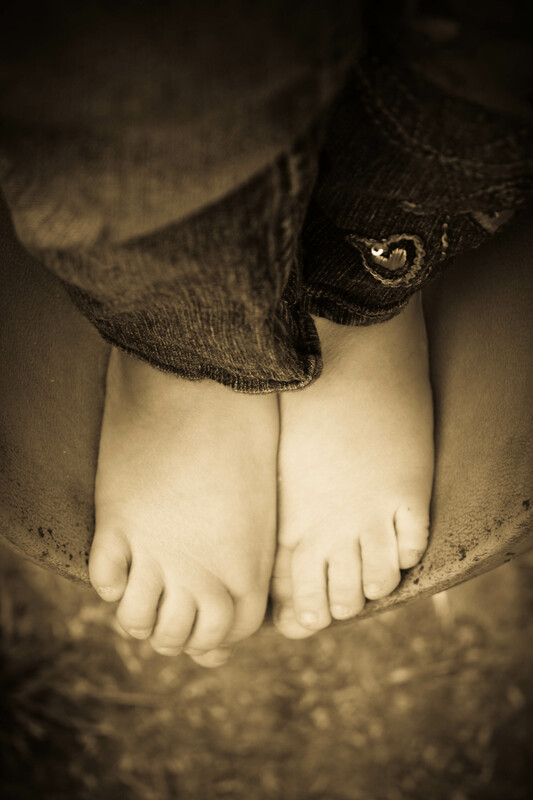 See more of our “feets” here. Such a beautiful post. I pray that all goes well when the time comes for the surgery. Precious post! Adorable toes, and I really love the heal one! What an interesting post! So cute how kids feel about this things, isn’t it? why can we be more like them and just see things in such a positive way? Like you this theme have made thing about this week’s Easter celebration and how much feet our mention these days, like when Mary pour the expensive perfume on Jesus” feet and how Jesus washed the disciple feet before he was betrayed! Interesting eh? Thank you so much for sharing! And I love Carter’s feet. I think they are splendid! That is so sweet tha tshe cries because she has ten toes instead of eight! She must really look up to him! I am a firm believer in having fun with shoes off, it makes it so much better! Beautiful photos!